Colours: Black. Features: Waterproof 2000mm, Windproof, Elasticated waistband, Waist vents to access inner pockets, Adjustable snap closing ankles, Fully taped seams, Generous fit for over trousers. Materials: 100% Polyester with pvc coating. Sizes: Youth 3/4 - 11/12. Colours: Navy. Features: Waterproof 2000mm, Windproof, Elasticated waistband, Waist vents to access inner pockets, Adjustable snap closing ankles, Fully taped seams, Generous fit for over trousers. Materials: 100% Polyester with pvc coating. Sizes: Youth 3/4 - 11/12. Colours: Black. 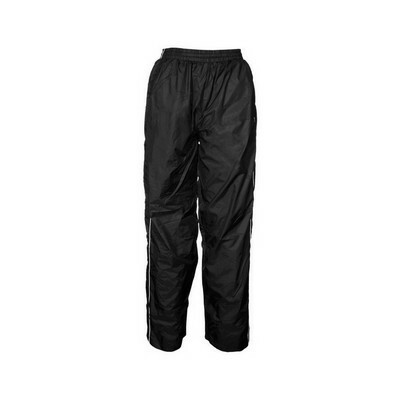 Features: Waterproof 2000mm, Windproof, Elasticated waistband, Waist vents to access inner pockets, Adjustable snap closing ankles, Fully taped seams, Generous fit for over trousers. Materials: 100% Polyester with pvc coating. Sizes: sm-5XL. Colours: Navy. 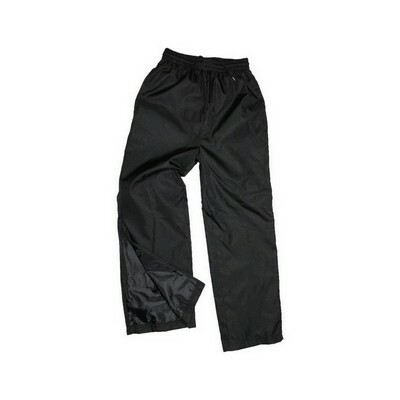 Features: Waterproof 2000mm, Windproof, Elasticated waistband, Waist vents to access inner pockets, Adjustable snap closing ankles, Fully taped seams, Generous fit for over trousers. Materials: 100% Polyester with pvc coating. Sizes: sm-5XL. Stella is the perfect pant for you if you generally find most pants fit well in the hip and thigh. you want your pant to fit neatly across the rear with some room through the leg. your waist to hip ratio is generally proportionate. 4-way Stretch Comfort 62% Polyester, 34% Viscose, 4% Elastane. Mid-rise with a flattering wider waistband. Low profile front and back pockets. Classic straight leg shape. Finished inseam length: 82cm. 10 | 12 | 14 | 16 | 18 | 20 | 8 Colours: Black | Navy. Kate is the perfect pant for you if you find pants fit at the waist but are too loose at the hip. you have a slimmer thigh. you have a petite or slender build. 4-way Stretch Comfort 62% Polyester, 34% Viscose, 4% Elastane. Mid-rise with a flattering wider waistband. Low profile front and back pockets. Classic straight leg shape. Finished inseam length: 82cm. 10 | 12 | 14 | 16 | 4 | 6 | 8 Colours: Black | Navy. Eve is the perfect pant for you if you often find pants gaping at the waist. you need more room through the seat and thigh. you want a flattering cut for your hourglass or pear shape. 4-way Stretch Comfort 62% Polyester, 34% Viscose, 4% Elastane. Mid-rise with a flattering wider waistband. Low profile front and back pockets. Classic straight leg shape. Finished inseam length: 82cm. 10 | 12 | 14 | 16 | 18 | 20 | 22 | 24 | 26 Colours: Black | Navy. BIZ COOL 89% Nylon, 11% Elastane, 4 Way Stretch fabric. Power stretch performance fabric with no show through. Extra wide comfort waistband with flat seams. Waistband can be worn up for more coverage or folded down onto the hip. Reflective visibility tape leg feature. Internal key fob pocket. 310 GSM. UPF rating - Excellent. Colours: Black. BIZ COOL Breathable 92% Polyester, 8% Elastane Stretch fabric. Quick dry fabric with mesh panels for added breathability. Reflective visability tape leg feature. Internal quick drying lightweight fabric briefs. 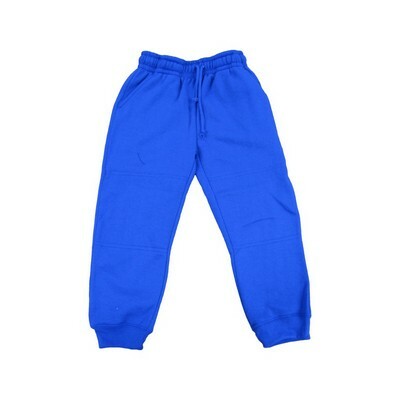 No twist elastic waist with internal soft drawcord. Internal key fob pocket. 175 GSM. Available in Black and Navy only. Colours: Black | Navy. BIZ COOL Breathable 92% Polyester, 8% Elastane Stretch fabric. Quick dry fabric with mesh panels for added breathability. Reflective visability tape leg feature. Internal quick drying lightweight fabric briefs. No twist elastic waist with internal soft drawcord. Internal key fob pocket. 175 GSM. Available in Black and Navy only. Colours: Navy | Black. 65% Polyester, 35% Viscose - Teflon stain resistance fabric. Durable, easy care fabric. Unique Flexi-band feature maximises waist comfort and fit. Flat front with 2 angled pockets, 2 back welt pockets. Generous 5cm hem allowance for longer length alteration. Colours: Navy | Black. Featuring a slimmer cut than our other track pants, the Campus Sweatpant is destined to be your new favourite. The combination of comfort and style makes these equally at home on the street or in your lounge. 280gsm poly/cotton. Brushed back fabric for comfort. Side Pockets. Reinforced seat seam. Cuffed legs. Slim fit.. Sizing: S-3XL. Colours: Black, Grey Marle, Navy. One fast pair of trackpants. Lightweight polyester outer. Jersey/taffeta lining for freedom of movement. Anti-pill. Side hand pockets. Zippered back pocket. Drawcord waist. Extra-long ankle zips. Sizing: XS-3XL, 5XL. Colours: Black, Navy. One fast pair of trackpants. Lightweight polyester outer. Jersey/taffeta lining for freedom of movement. Anti-pill. Side hand pockets. Zippered back pocket. Drawcord waist. Extra-long ankle zips. Sizing: 6-14. Colours: Black, Navy. 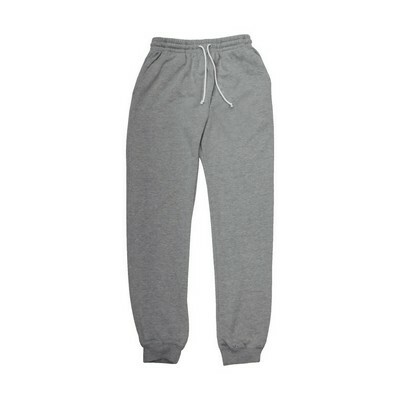 Showerproof trackpants ideal for training. Showerproof nylon outer. Fully lined - mesh upper 3/4. Side pockets. Zippered back pocket. Ankle zips. Matches JPK Jacket . Sizing: XS-XXL. Colours: Black, Navy. Showerproof trackpants ideal for training. Showerproof nylon outer. Fully lined - mesh upper 3/4. Side pockets. Zippered back pocket. Ankle zips. Matches JPK Jacket . Sizing: 6-14. Colours: Black, Navy. An extra layer of fabric in the knees is great for those long slides on carpet. 280gsm poly/cotton. Soft brushed inside. Double layer knees. Elasticated waist with drawcord. Fine rib cuffs. Tape in seat seam for strength. Side pockets. Sizing: 4-14. Colours: Black, Bottle, Navy, Royal. 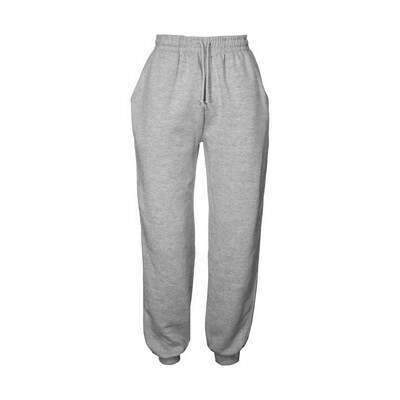 Classic sweatpants are back in vogue. 280gsm poly/cotton. Soft brushed inside. Elasticated waist with drawcord. Fine rib cuffs. Tape in seat seam for strength. Side pockets. Sizing: S-3XL. Colours: Black, Bottle, Grey Marle, Navy. A Fit Right For You. A classic mechanical stretch ladies trouser. 100% polyester mechanic stretch weave fabric, 180gsm with anti-static, Two front welt pocket, one mock hip welt pocket, 5cm wide turn up hem with blind stitch for easy adjustment, Size18-26 with elastic at side of waistband (classic fit only). Colours: Black, Navy. Sizes: 10, 12, 14, 16, 18, 20, 22, 24, 26. A Fit Right For You. A classic mechanical stretch ladies trouser. 100% polyester mechanic stretch weave fabric, 180gsm with anti-static, Two front welt pocket, one mock hip welt pocket, 5cm wide turn up hem with blind stitch for easy adjustment, Size18-26 with elastic at side of waistband (classic fit only). Colours: Black, Navy. Sizes: 4, 6, 8, 10, 12, 14, 16. A Fit Right For You. A classic mechanical stretch ladies trouser. 100% polyester mechanic stretch weave fabric, 180gsm with anti-static, Two front welt pocket, one mock hip welt pocket, 5cm wide turn up hem with blind stitch for easy adjustment, Size18-26 with elastic at side of waistband (classic fit only). Colours: Black, Navy. Sizes: 8, 10, 12, 14, 16, 18, 20. Classic Fit. Classic fit styled chino for everyday comfort. 65% Polyester for durability, 35% Cotton for comfort, 270gsm Twill fabric, Constructed waistband with 6 belt loops, 2 front slant pockets and 2 hip welt pockets, one coin pocket under waistband, Bar tack at all pressure points for strength. Colours: Black, Navy. Sizes: 77, 82, 87, 92, 97, 102, 107, 112, 117, 122, 127, 132. Classic Comfort. Everyday comfort and style cut to a classic fit. 65% Polyester for durability, 35% Cotton for comfort, 270gsm Twill fabric, Constructed waistband with 6 belt loops, 2 front slant pockets and 2 hip welt pockets, one coin pocket under waist, Bar tack at all pressure points. Colours: Black, Navy. Sizes: 77, 82, 87, 92, 97, 102, 107, 112, 117, 122, 127, 132. Traditional trousers. Relaxed straight leg, classic fit trousers are a wardrobe staple, worn with an open collar shirt or blazer and tie to suit the occasion. 65% Polyester for durability, and 35% Viscose gabardine, Constructed adjustable waist with belt loops, Fully tailored styling to allow for alteration, Two front slant pockets and two back welt pockets, Large turn up at hem for length adjustment, Front Flat, Easy care fabric. Colours: Black, Charcoal, Navy. Sizes: 67R, 72R, 77R, 82R, 87R, 92R, 97R, 102R, 107R, 112R, 87, 92, 97, 102, 107, 112, 117, 122, 127, 132. Stylish Fit. Dress these comfortable classic fit stretch fabric trousers up or down with your favourite shirt for work or weekend wear. 100% Polyester mechanical stretch fabric, Constructed adjustable waist with belt loops, Two front slant pockets, one patch pocket at WRH inside pocket bag and back jet pocket, Large turn up at hem for length adjustment, Full tailored styling to sllow for further alteration. Colours: Black, Navy. Sizes: 77R, 82R, 87R, 92R, 97R, 102R, 107R, 87S, 92S, 97S, 102S, 107S, 112S, 117S, 122S, 127S, 132S. Stylish Fit. Matching the mens trouser, this ladies version are a comfortable classic fit, dress up or down. 100% Polyester mechanical stretch fabric, constructed adjustable waist with belt loops, Two front slant pockets and one patch pocket at WRH inside pocket bag, Large turn up at hem for length adjustment, Fully tailored styling to allow for further alteration, Utility (key chain) belt loop at right pocket side seam, Size 18+ have elastic inserts at side seam. Colours: Black, Navy. Sizes: 8, 10, 12, 14, 16, 18, 20, 22, 24.